Do you ever think about how we’ve come to primp, pamper, adorn and bedazzle ourselves? I believe we owe some recognition to the world’s founders of beauty. Lo and behold! Beauty rituals have existed for thousands of years, and through the ages, people have searched for the “fountain of youth”—the way to stay young forever. Fortunately, thousands of years later, these rituals have made their way into the modern world of beauty. With environment pollution, environmental stressors, and adverse lifestyle factors affecting the health of our skin, this era is sure going to need them! While the philosophy of beauty is recognized within many different cultures, the various rituals and standards of beauty vary from one culture to another. Since there were many cultures who immersed themselves in the realm of beauty, we are going to visit some of the more renowned influences, starting with ancient Greece. The Greeks were big lovers of physical beauty. They were very in tune with the body’s natural aging process, thus they were always seeking ways to improve their appearance. The word “cosmetics” actually comes from the Greek word ‘kosmetikos’, originating in the 17th century. Aphrodite, the olympian Greek goddess of love and beauty, created a quintessential beauty ideal among Greek women. This goddess symbolized true femininity and grace, which perhaps influenced the Greek’s prestigious, ancient beauty rituals. The Greeks favored light complexions, which they maintained using white lead. This was later replaced by chalk powder (around 1000 BCE) due to the many deaths caused by slow lead poisoning. Crushed mulberries were used for lip and cheek stains, as was clay and red iron for lip color. Dark eyeshadows were also favored, made using a mixture of charcoal and oils. Fake, thick and prominent eyebrows were made with the hair of oxen. Often times, women even preferred connected eyebrows (unibrows), as this was admired in their culture. Both honey and olive oil were used in many cosmetic and anti-aging preparations. It is said that the wild olive tree originated in ancient Greece, so this tree, along with its plethora of beauty benefits, was considered sacred. Women anointed themselves in olive oil to protect their skin from environmental stressors, and it was used in facial masks to promote a clear looking complexion. Honey was also mixed with olive oil to help lighten the appearance of skin. Today’s beauty formulators definitely learned a thing or two from Greece, considering olive oil and honey are still heavily used in natural skin care treatments. Hopping over to Rome, specifically around early 100 AD, the Romans from this era and those that followed loved their bathing rituals. In fact, the Romans created such opulent bathhouses, they are quite comparable to our modern day spas. The bathhouses were beautified with mosaics, paintings and intricate ceilings flooded with natural light. In these gender-segregated oases, bathers engaged in contrast bathing therapy, also known as hot/cold immersion therapy. Bathers would then follow their treatment with the use of an instrument referred to as a ‘strigil’. This curved metal tool was used to scrape dirt and sweat from the body before steam therapy, body scrubs and massage. And what was a bath to an ancient Roman without fragrance to top it off? Perfumes were very popular, and were formulated using a variety of flowers and herbs like saffron, almonds, rose petals, lilies, myrtle, laurel and jasmine. Similar to the Greeks, Romans of this era also preferred fair, white complexions, for which they used white lead, white marl and chalk powder to achieve. Rouge, in the form of mulberry juice, wine dregs, rose and poppy petals, red chalk and even crocodile dung, was applied for cheek color. Other unique rituals included using barley flour and butter to soothe skin. Nail color was made using animal fat and blood, creating a pink and red tint. The fall of the Roman Empire nearly caused the “vanishing” of all cosmetics, and it became very uncommon to wear make up there for a bit. But around 1200 AD, makeup was slowly reintroduced into the culture and the beauty rituals lived on! Not only was ancient Egypt one of the most advanced civilizations to grace the earth, but also the creator of many sacred luxuries that are still used widely today. Egyptians were undeniably known for their “bling” and were, without a doubt, stylishly avant-garde. Adorned in exotic jewelry, headdresses and hairstyles, Egyptians took fashion and beauty quite seriously. Sulfites (kohl) and malachite minerals were used as eye enhancements and liners, while lip color was made with purple and red dyes from seaweed, iodine and carmine beetles. Uncovered burials have provided us with artifacts and knowledge that beautification rituals were revered in Egypt more than in any other culture. For example, burials and tombs have been discovered with remnants of cosmetics inside. The application of makeup was so important to ancient Egyptians and pharaohs that their beauty rituals served as an honor to their gods and goddesses. Speaking of Pharaohs… Cleopatra, the last active pharaoh of Egypt, was a legendary beauty, leaving behind timeless rituals with her legacy. Almond oils, apple cider vinegar, dead sea salt scrubs, honey and milk baths were among some of her anti-aging rituals. As early as 10,000 BCE, moisturizing emollients were being used in Egypt to protect the skin from the very dry desert climate. According to the author Judith Illes, who has done extensive research on ancient Egypt, Egyptians had access to and used, more or less, 21 different vegetable oils for a range of beauty purposes. Both men and women applied oil to their bodies regularly. Perfumes were also prized in ancient Egypt, as they were valued for their positive health and wellness properties. Frankincense and myrrh were highly regarded as essential ingredients in perfumes, skin care treatments, dental hygiene and insect repellent. These resins were also a sacred component of the embalming process for the deceased. Since Egyptians embodied cleanliness, hair removal was a fundamental part of their grooming habits. Sugaring, a natural method of hair removal, was performed using a sugar solution made with sugar, lemon and water to form a paste. The paste was applied to the hair, without sticking to the skin, and “flicked” off. It’s truly a fascinating method that still exists today and is gaining popularity among estheticians. We could go on and on about ancient Egypt’s extraordinary beauty rituals; they were the pioneers of an authentic concept of beauty. For thousands of years, Indians have believed that the body is a temple. They worshipped the earth and it’s elements, understanding the connection between nature, health and beauty. Ayurveda is the science of life and India’s 5,000 year old holistic health care system. This complex, yet practical system is based on the belief that optimal health is achieved when your mind, body and spirit are aligned with the universe. It’s no wonder that Indian women are of immeasurable beauty; their focus on balance and well-being mirrors their physical beauty. Ayurvedic beauty rituals included bathing and oil treatments, which promoted physical and spiritual cleansing. Ancient Indians believed that if you couldn’t eat it, it didn’t belong on the skin. So, basically their skin care was edible and derived from the most nutritious herbs and oils around. Herbs like neem, tulsi, turmeric, sandalwood, saffron and amla were incorporated into masks, creams and the widely used sesame oil. Indians were also keen on oil pulling for dental hygiene, and dry brushing their skin for exfoliation and lymphatic stimulation. 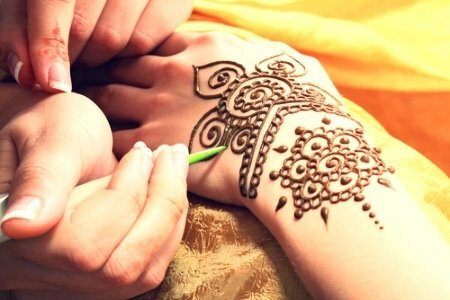 The ancient art form of henna, also called “mehndi”, had many cultural uses. Henna refers to the dye derived from the henna plant (Lawsonia inermis). This dye was used to create decorative designs on the body for self-expression, temporary tattoos, in celebration of special occasions, traditions, ceremonies and performances. Since makeup was considered ‘superficial’ to Indians, they harnessed more natural expressions of beauty through henna and bejeweling. There are many ancient cultures that we did not mention in this article, respectively. From the Far East, to Central and South America and Africa to Polynesia, all of these cultures defined their own authentic forms of beauty. 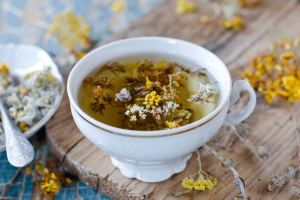 Since nature’s gifts were the only option for ingredients back then, it’s interesting to think that in our modern day world we are making our way back to the roots of these ancient beauty traditions. In this pivotal time in the beauty industry, manufacturers and consumers are becoming more educated and conscious when it comes to skin care. We’ve been through a vicious cycle of industrial chemicals in our self-care products and we’re happy to see people making the switch to more botanical based lines inspired by ancient practices. The next time you decorate your face or soak in a warm bath with essential oils, remember where all of these rituals came from. Give thanks to the founders who intuitively employed earth’s abundance. In a way, it connects us all with a healthy vision of beauty. Do you practice any ancient beauty rituals? Tell us in the comments below! Milady. ‘Milady Standard Esthetics: Fundamentals. Milady; 11th Edition. 2012. Under the Roman ritual section, shouldn’t it be around 1200 AD instead of BC that makeup was slowly re-introduced? Thanks for catching that, Amanda! You’re right.